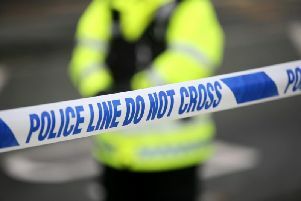 A man has been arrested after he assaulted police and ‘tried to do a runner’ when stopped in Lurgan. The incident happened on the Old Portadown Rd yesterday. Police said they stopped a man who had been disqualified from driving. PSNI Craigavon said on Facebook: “He also didn’t understand the words ‘get in the car’ when caught, and hit one of the team before trying to do a runner. “See, when you attack one of us when all we’re trying to do is keep the community safe, you better believe we’ll come in number. “This guy didn’t make it too far before ending up face down and in custody. “Driving whilst disqualified, TADA (taking and driving away, ie- theft of a vehicle), driving with no license, no insurance, assault on police. -Don’t drive irresponsibly enough to get disqualified. -If disqualified, be a man and accept it. -If not man enough then, at least take your second chance at decency if caught.